TRINUS, Inc. was a winner of this year’s iF DESIGN AWARD, a world-renowned design prize. The winning product, Flower Pencils HANA, won in the discipline "Product," in the "Office" category. Each year, the world’s oldest independent design organization, Hannover-based iF International Forum Design GmbH, organizes the iF DESIGN AWARD. Flower Pencils HANA won over the 67-member jury, made up of independent experts from all over the world, with its supeiror design concept by using MAPKA, an eco-friendly material, to create colored pencils of Japan's native flora in colors, shape, and its shavings. The competition was intense: over 6,400 entries were submitted from 50 countries in hopes of receiving the seal of quality. 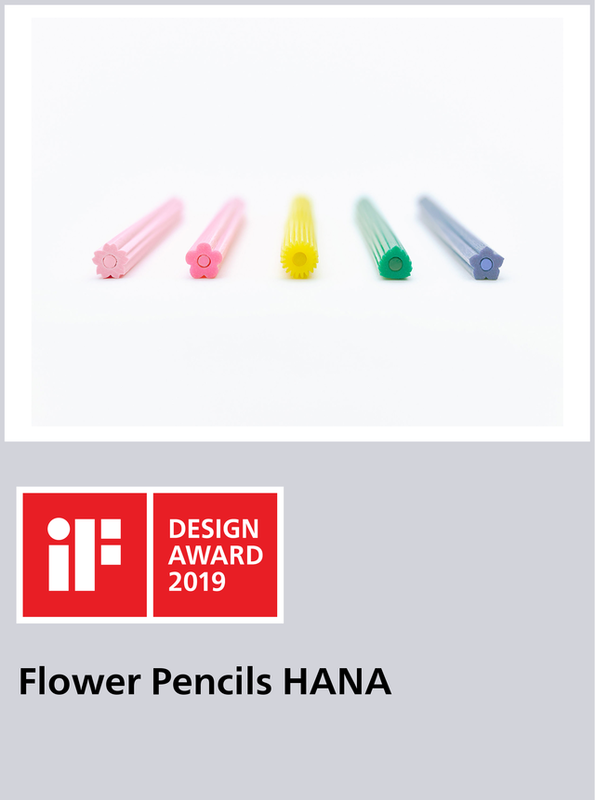 More information about Flower Pencils HANA can be found in the “Design Excellence” section of the iF WORLD DESIGN GUIDE after February 4, 2019. TRINUS is a Tokyo-based community that brings together unique Japanese technologies, creators, and consumers to create an open value chain— from product planning, development, branding, to distribution. Creators from all over the world are invited to take part in design competitions based on state-of-the-art materials and technologies on TRINUS.JP. The selected design will be manufactured into an item and be distributed worldwide. Crowd-funding activities are held regularly on TRINUS.JP.